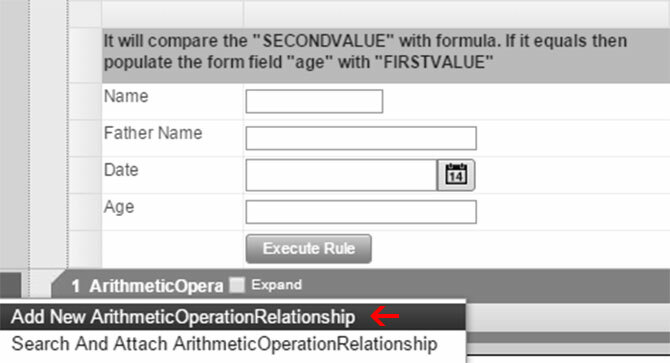 This Rule performs Arithematic operation on Relationship table. 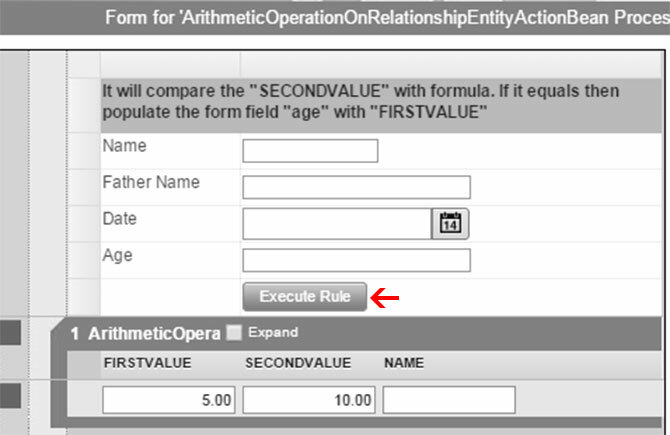 In this demo the formula is set as if the “second value” is 10, the first value will be displayed in the “age” field. Step1. Add “New arithematic operation relationship”. Step2. 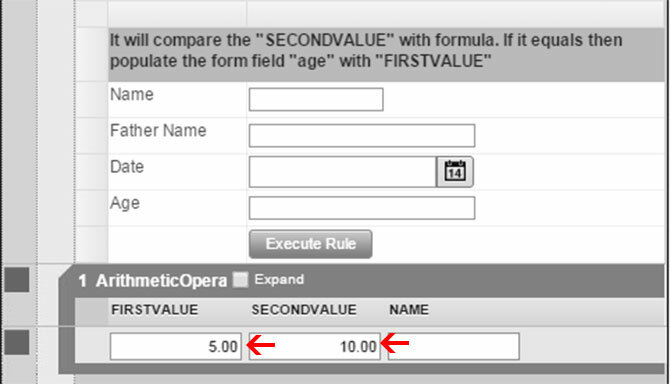 Enter any number in “First value” and enter 10 in “Second value” field. Step3. Click “Execute Rule” button. 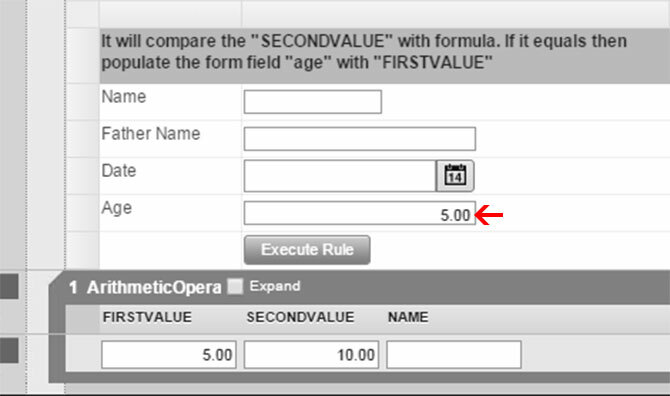 Value entered in the “First Value” field will be displayed in the “age” field if the “second value” is 10.